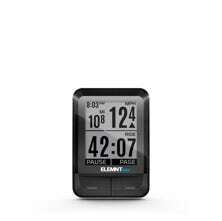 Experience the game-changing power and simplicity of ELEMNT - the 100% wireless GPS bike computer that takes the complexity out of using and operating a bike computer while providing all the functionality you need out of any comparative GPS head unit. 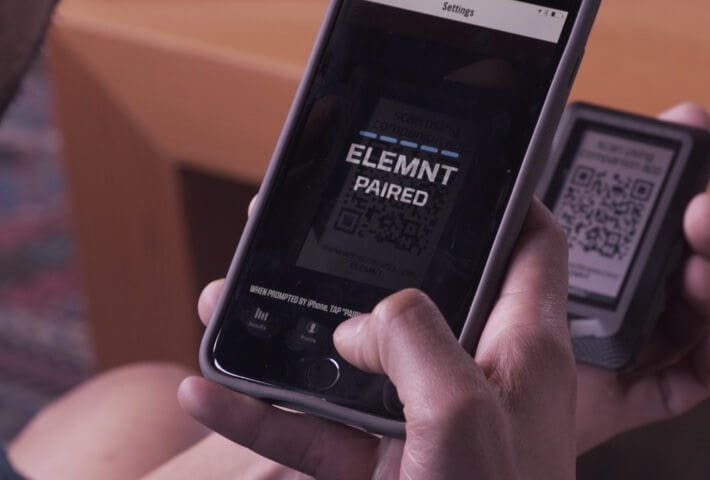 The free ELEMNT companion app uses the intuitive interface of your smartphone to customize your settings, configure workout pages and link ELEMNT to your favorite cycling apps and wireless sensors. 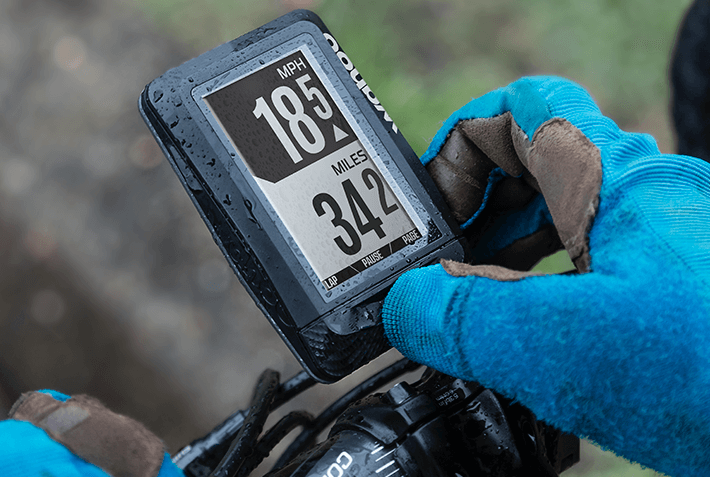 With programmable QuickLook LED indicators ELEMNT introduces a new way to monitor performance and stay connected with nothing more than a glance. Easy to access side buttons allow you to zoom in and out of curated data fields with just a touch. 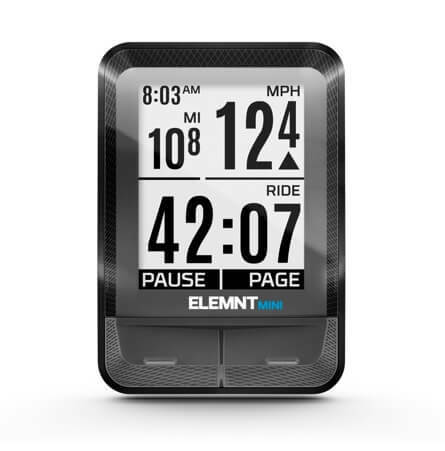 ELEMNT is the only truly wireless bike computer, meaning the days of finding time to tether up to your laptop to sync ride data, download maps or update your computer’s software are over. 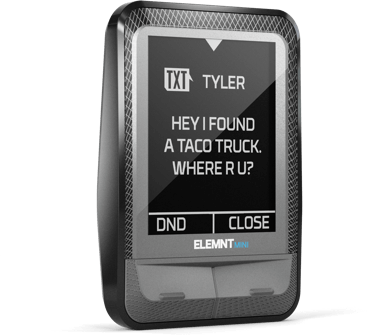 WIth the ability to locate friends out riding in real time and receive emails, texts and phone alerts, ELEMNT makes it easy to stay in touch when you’re out of reach. A brewpub? A burger? An epic destination? Where ever you want to go, ELEMNT can take you there! Just open the ELEMNT companion app at any point in your ride and start typing either the address or name of your destination. 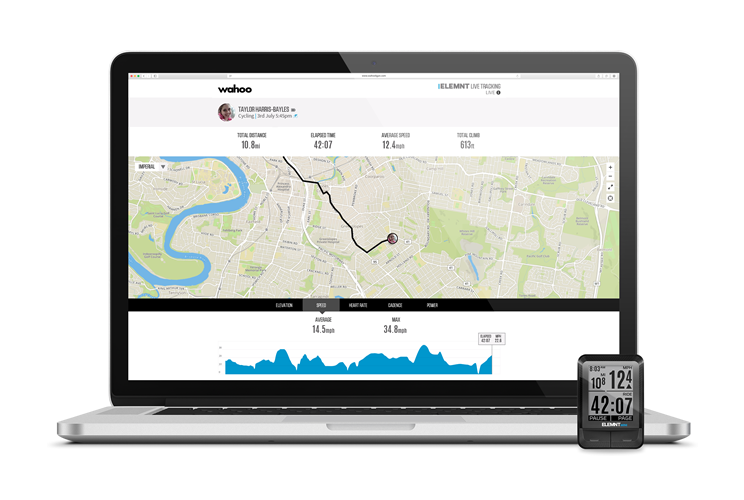 The companion app will then generate a cycling optimized route and send it to your ELEMNT, complete with turn-by-turn pop ups. Put your phone away and ride! 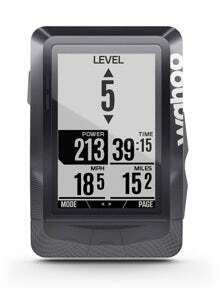 Now ELEMNT can literally take you anywhere! 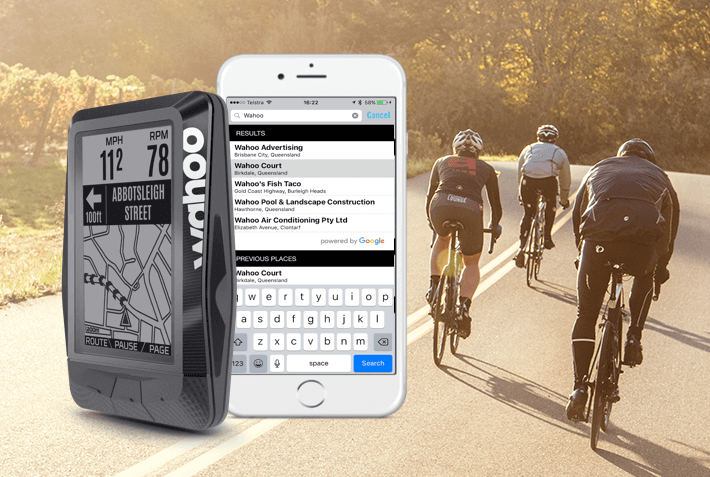 Get turn-by-turn prompts with the Wahoo "Take Me Anywhere" feature on the Wahoo ELEMNT companion app and with all Komoot and Ride With GPS Routes that are on your ELEMNT. 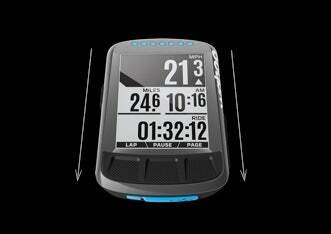 Routes automatically download to the ELEMNT with just a click. 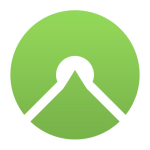 Live Track allows you to send a custom link to people who you want to share your location with during a ride. 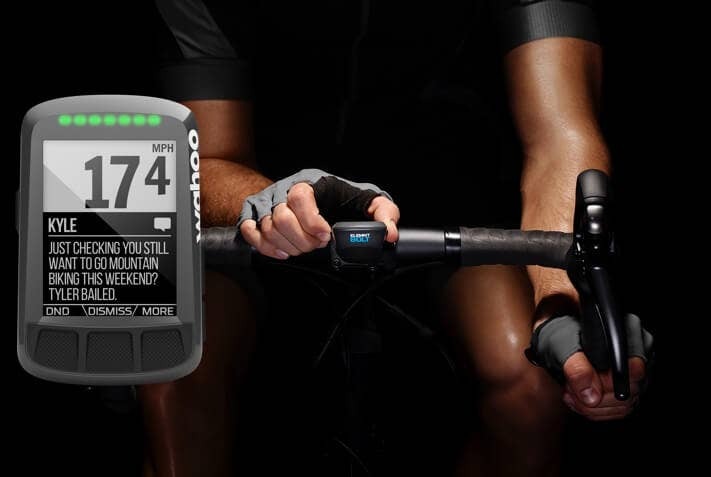 From the time you start a workout, to the time you stop, Live Track will update the web-based portal in real-time to keep others informed of your location, progress, and ride metrics. With Live Track, you can be you safely located by loved ones, tracked by a coach, or even meeting fellow riders in-route. 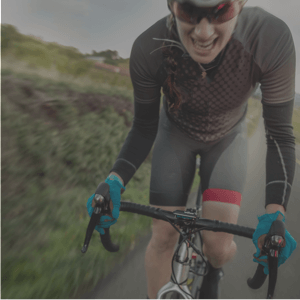 ELEMNT fully integrates with Strava Live Segments to give you accurate progress status and the Final Push to beat your goals. 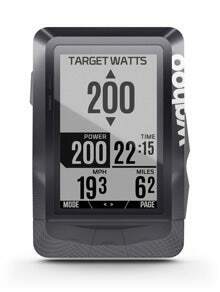 TrainingPeaks and Today’s Plan are fully integrated with ELEMNT. Now you are able to see your training plan, execute structured workouts with LED and pop-up notifications at each interval, and send data back to the apps automatically. 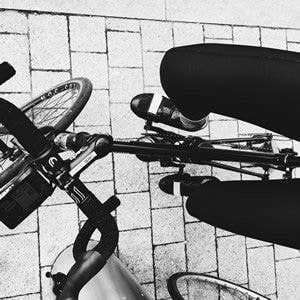 Ride your workout plan outdoors or indoors. 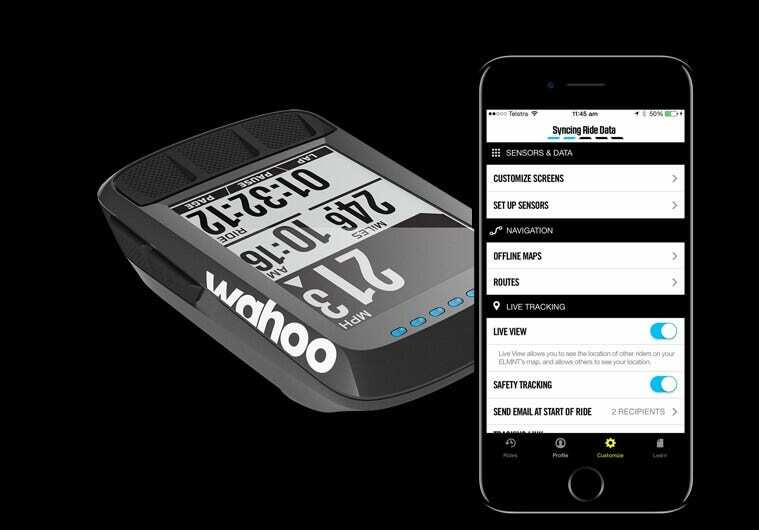 On a Wahoo Smart Trainer, the KICKR or SNAP will automatically change resistance to match the target power of each interval so you get the most out of your structured workout. 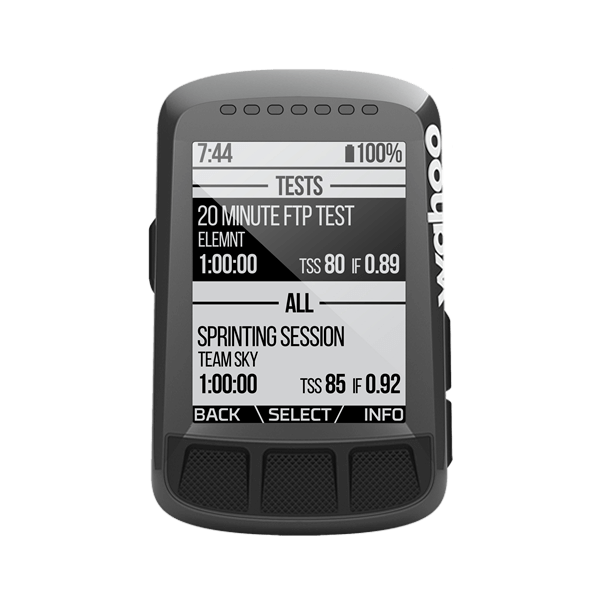 ELEMNT also comes preloaded with two FTP tests and three Team Sky structured workouts designed by their team coaches! 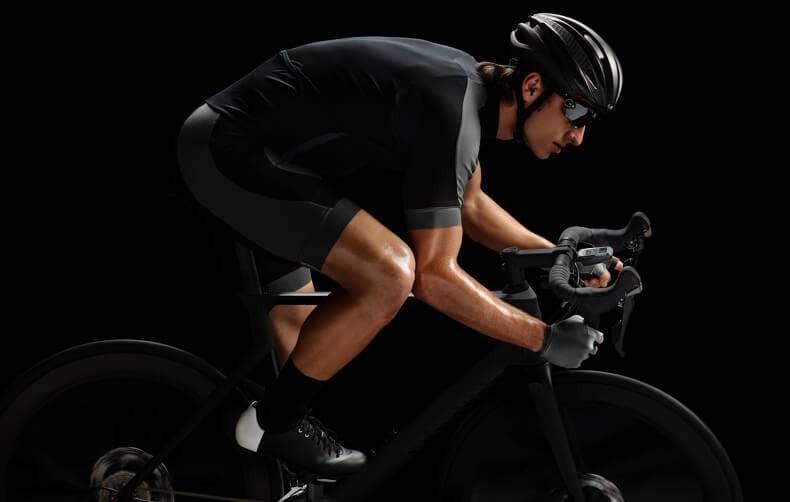 ELEMNT pairs with both KICKR and KICKR SNAP indoor bike trainers to allow you to take the suffering inside and completely control the smart trainers trusted by world champions like three-time Tour de France winners, Team Sky. 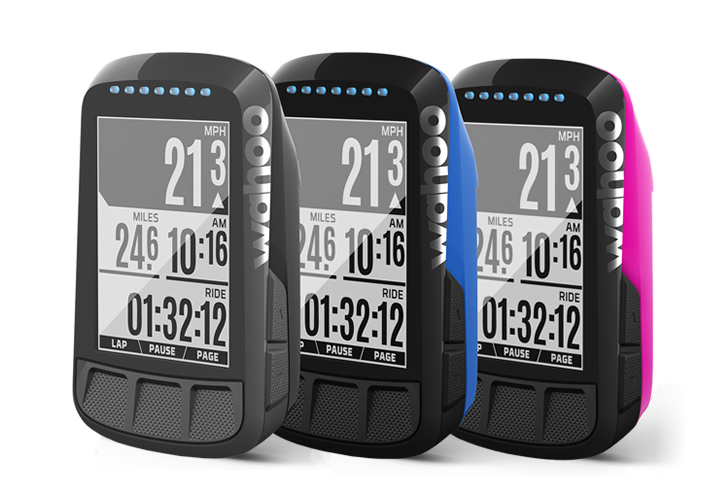 ELEMNT allows you to select 1 to 10 levels, each with a progressive resistance curve, the faster you pedal the harder it gets. 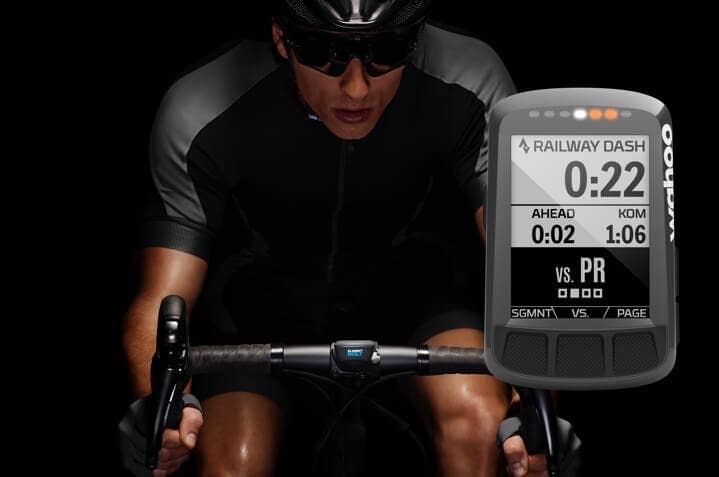 ERG mode allows you to use ELEMNT to set your target power wattage and if your cadence drops, the KICKR will increase the resistance to maintain a constant power output, regardless of speed. Have a favorite route? Training for a race? 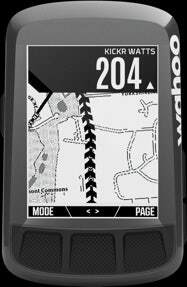 KICKR will use the GPS file from your ELEMNT to change resistance automatically and simulate elevation grade. Shift gears and ride just like you would on the road. ELEMNT is now fully integrated with Best Bike Split’s Power and Speed Targets to give you the most accurate race day power plans available. 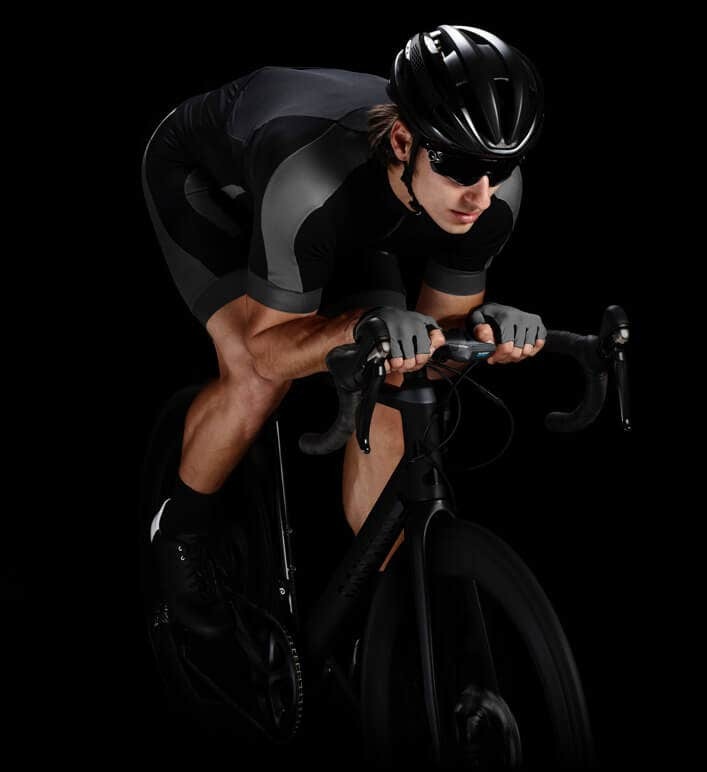 Created in collaboration with the best minds in cycling aerodynamics, ELEMNT BOLT offers the power and simplicity that originated with ELEMNT in a race worthy design proven to shave seconds off finish times. 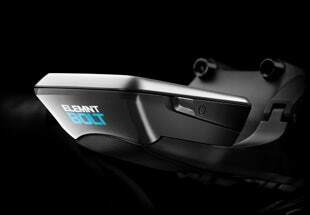 The ELEMNT BOLT + Integrated Out Front Mount creates a system with a large smooth surface for the air to slip past, reducing wind resistance and the power (watts) required to maintain speed. 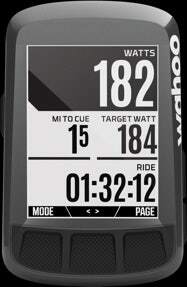 The sides were tapered to maximize the ELEMNT BOLT’s wind-slicing properties following time tested aerodynamic forms. 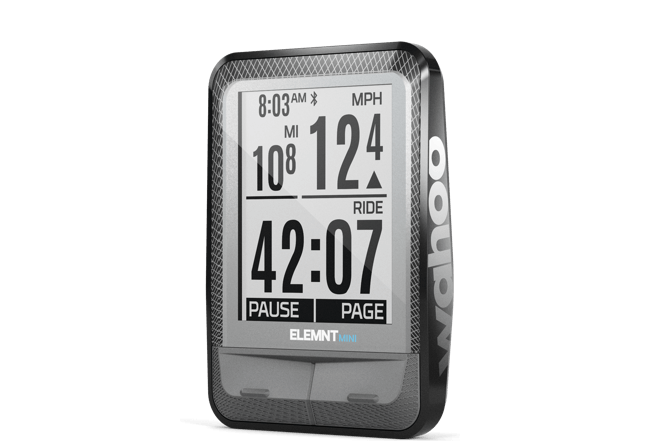 The ELEMNT BOLT System was designed to maximize readability and minimize air resistance. We designed the computer to sit in the integrated out front mount at an angle to optimize your view of the screen. to visualize how the air flows past an object and its impact on that object. 1. Over 50% less drag [air resistance]. 2. 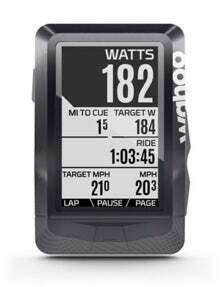 The ELEMNT BOLT System saves riders approximately 1.5 Watts. 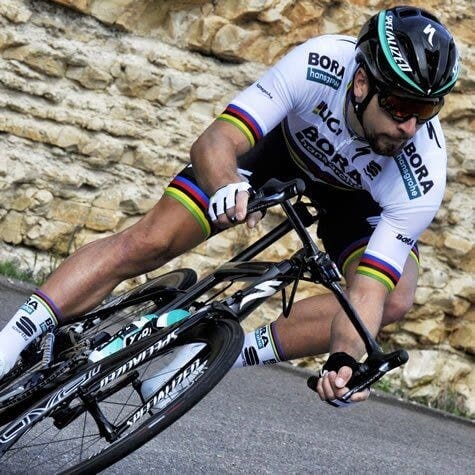 12.6 seconds off his time. 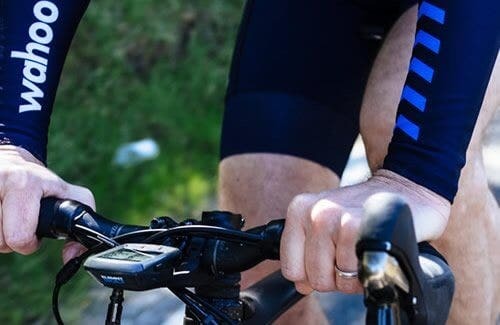 The free ELEMNT companion app uses the intuitive interface of your smartphone to customize your settings, configure workout pages and link ELEMNT BOLT to your favorite cycling apps and wireless sensors. 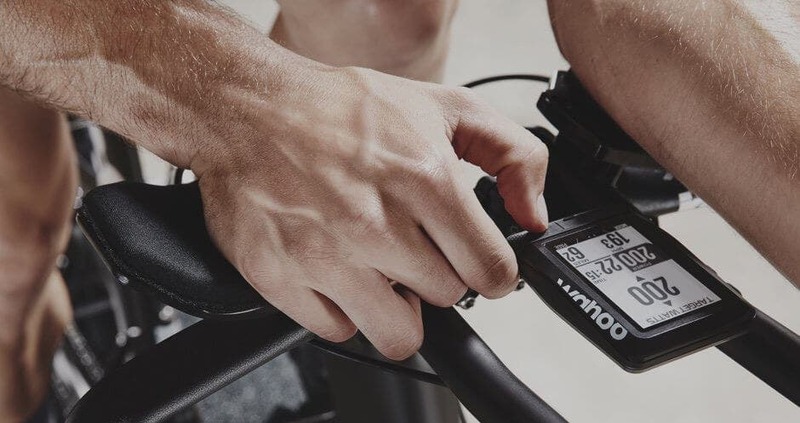 ELEMNT BOLT features programmable LED indicators that offer a new way to monitor performance and stay connected with nothing more than a glance. Easy to access side buttons allow you to zoom in and out of curated data fields with just a touch. 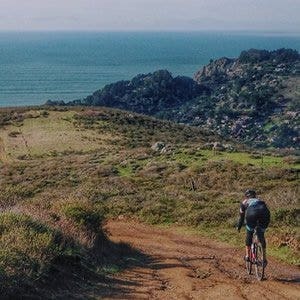 ELEMNT bike computers are the only truly wireless bike computers, meaning the days of finding time to tether up to your laptop to sync ride data, download maps or update your computer’s software are over. 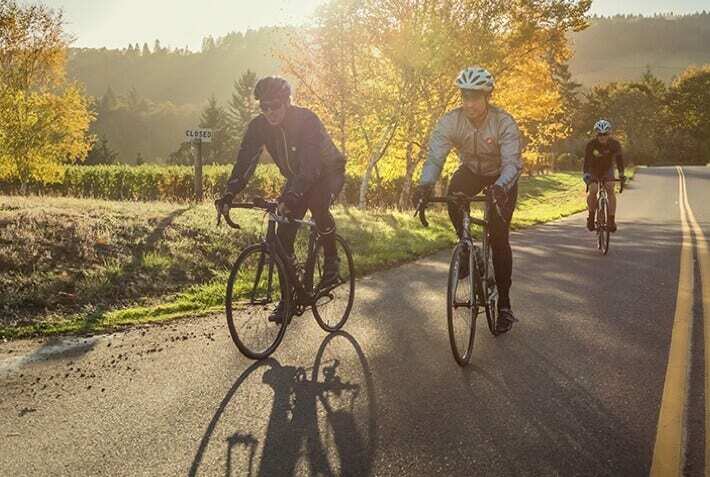 With the ability to locate friends out riding in real time and receive emails, texts and phone alerts, ELEMNT BOLT makes it easy to stay in touch when you’re out of reach. A brewpub? A burger? An epic destination? 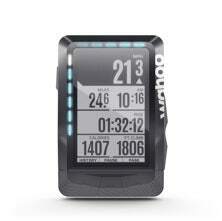 Where ever you want to go, ELEMNT BOLT can take you there! 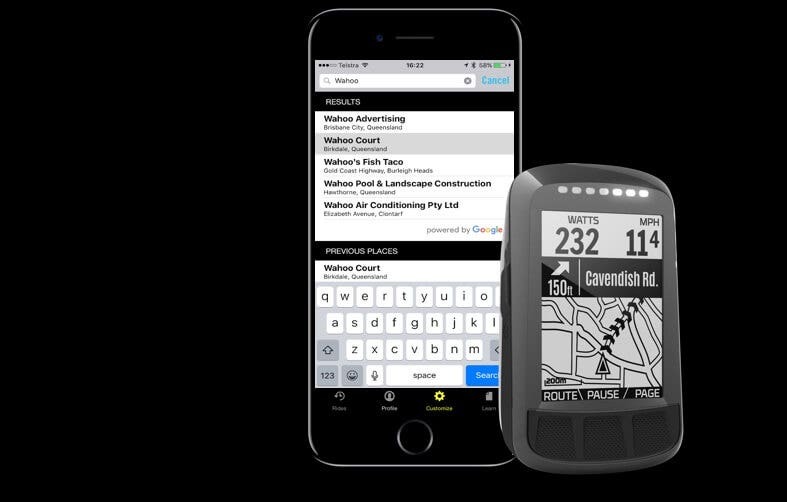 Just open the ELEMNT companion app at any point in your ride and start typing either the address or name of your destination. The companion app will then generate a cycling optimized route and send it to your ELEMNT BOLT, complete with turn-by-turn pop ups. Put your phone away and ride! 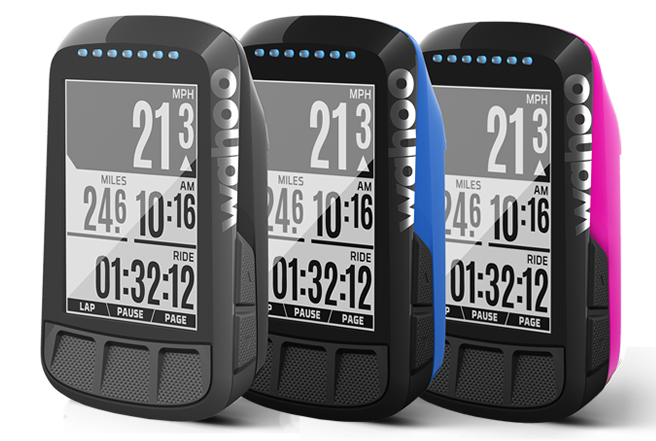 Now ELEMNT BOLT can literally take you anywhere! 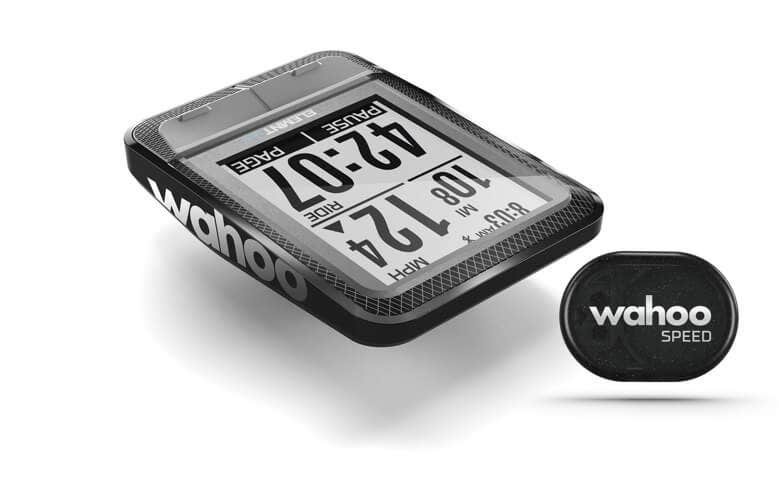 Get turn-by-turn prompts with the Wahoo "Take Me Anywhere" feature on the Wahoo ELEMNT companion app and with all Komoot and Ride With GPS Routes that are on your ELEMNT BOLT. 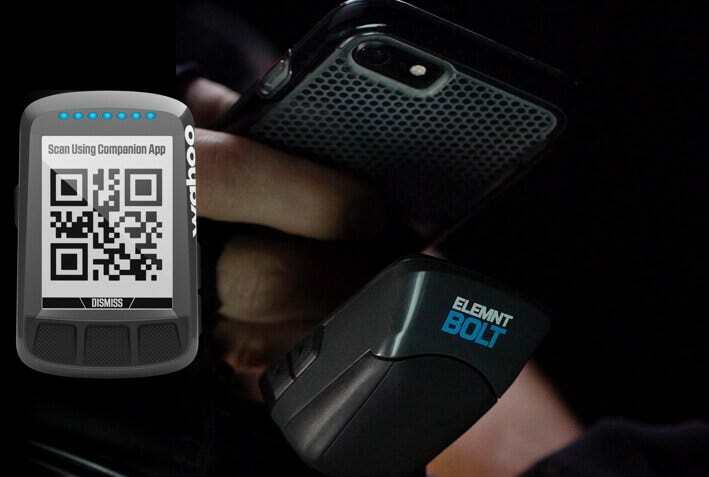 Routes automatically download to the ELEMNT BOLT with just a click. 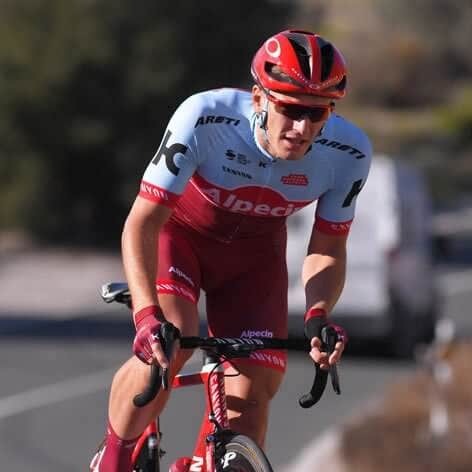 ELEMNT BOLT pairs with both KICKR and KICKR SNAP to allow you to take the suffering inside and completely control the smart trainers trusted by world champions like three-time Tour de France winners, Team Sky. 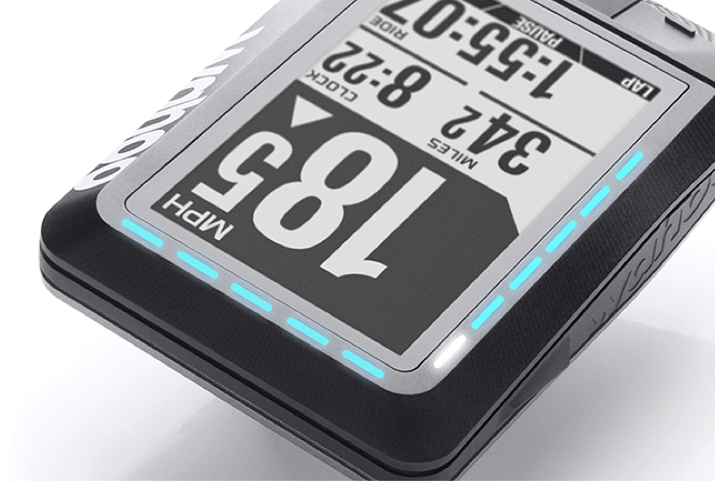 ELEMNT BOLT fully integrates with Strava Live Segments to give you accurate progress status and the Final Push to beat your goals. 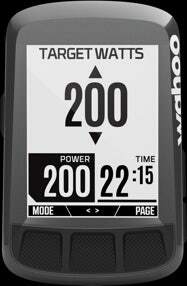 TrainingPeaks and Today’s Plan are fully integrated with ELEMNT BOLT. 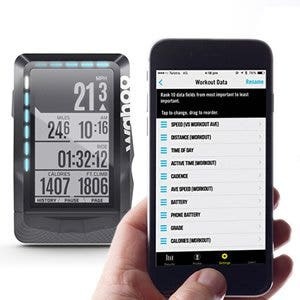 Now you are able to see your training plan, execute structured workouts, and send data back to the apps automatically. Ride your workout plan outdoors or indoors. 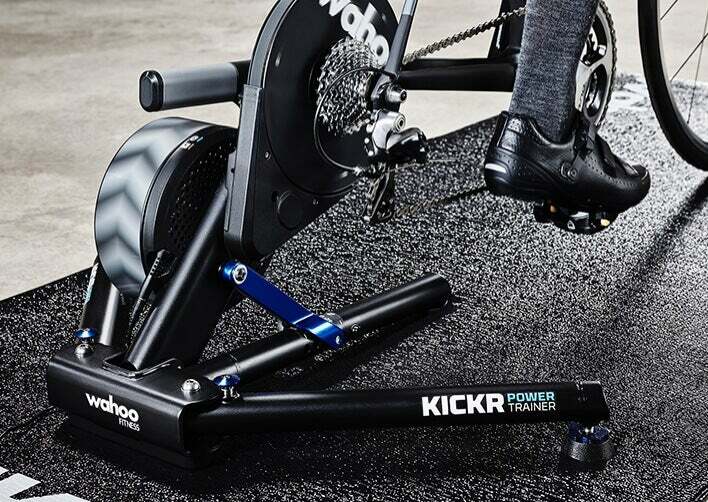 On a Wahoo Smart Trainer, the KICKR or SNAP will automatically change resistance to match the target power of each interval so you get the most out of your structured workout. 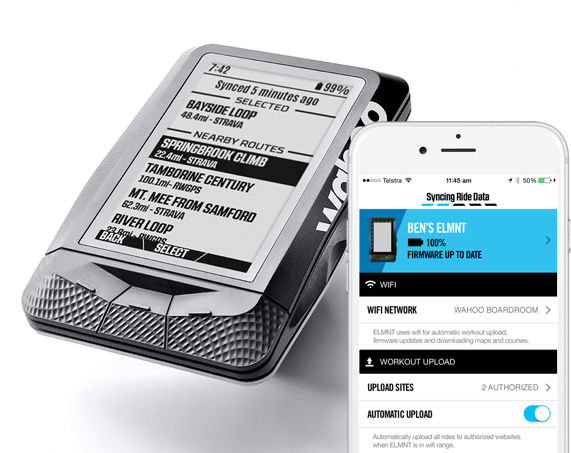 ELEMNT BOLT also comes pre-loaded with two FTP tests and three Team Sky structured workouts designed by their team coaches! 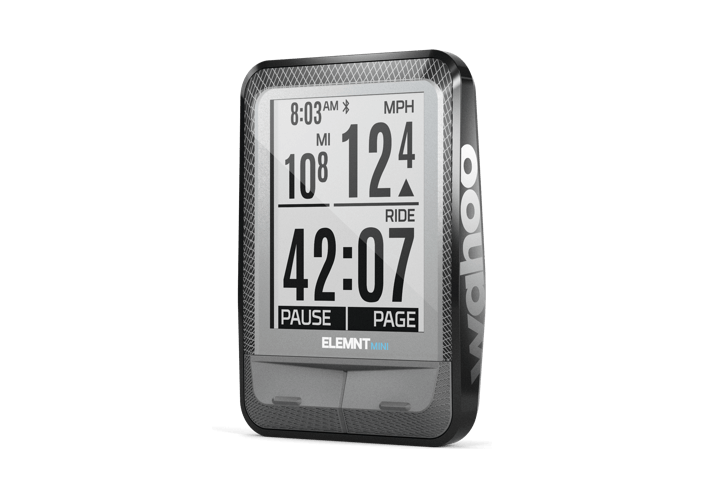 ELEMNT BOLT allows you to select 1 to 10 levels, each with a progressive resistance curve, the faster you pedal the harder it gets. 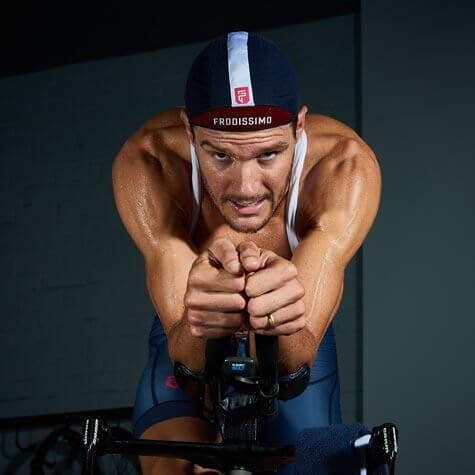 ERG mode allows you to use ELEMNT BOLT to set your target power wattage and if your cadence drops, the KICKR will increase the resistance to maintain a constant power output, regardless of speed. Have a favorite route? 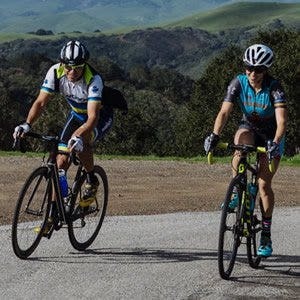 Training for a race? 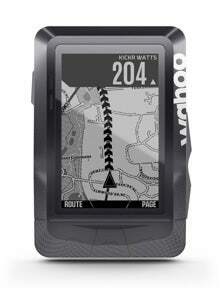 KICKR will use the GPS file from your ELEMNT BOLT to change resistance automatically and simulate elevation grade. 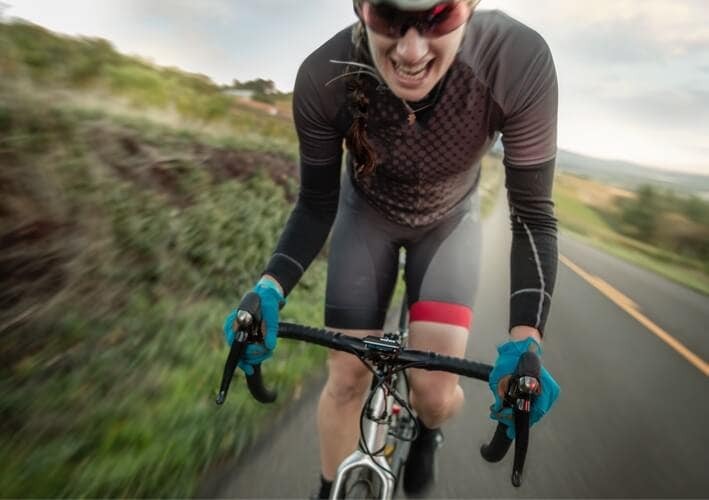 Shift gears and ride just like you would on the road. 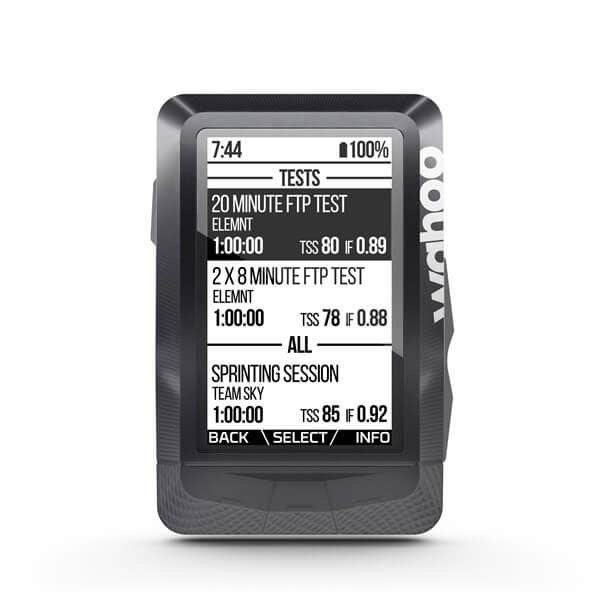 ELEMNT BOLT is now fully integrated with Best Bike Split’s Power and Speed Targets to give you the most accurate race day power plans available. 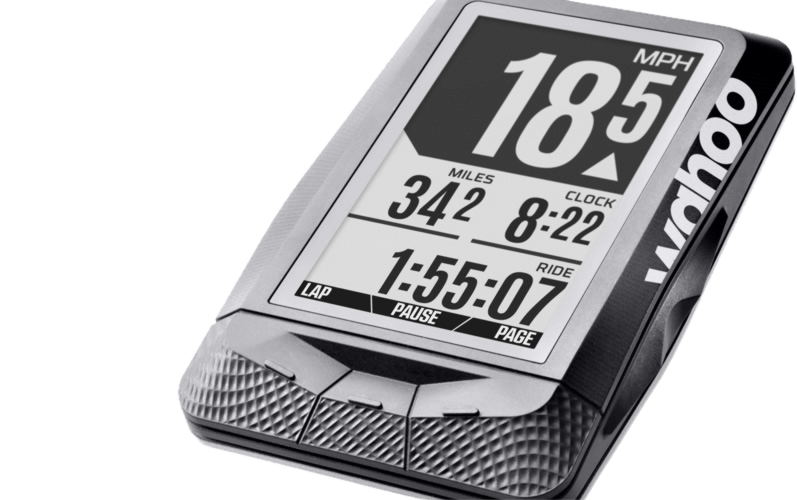 Meet ELEMNT MINI – the super compact sensor based bike computer that makes it simple to see and share ride data. 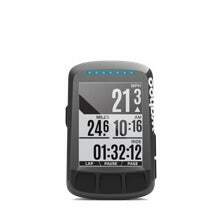 Pair with the powerful ELEMNT companion app to unlock enhanced features, such as ride tracking. 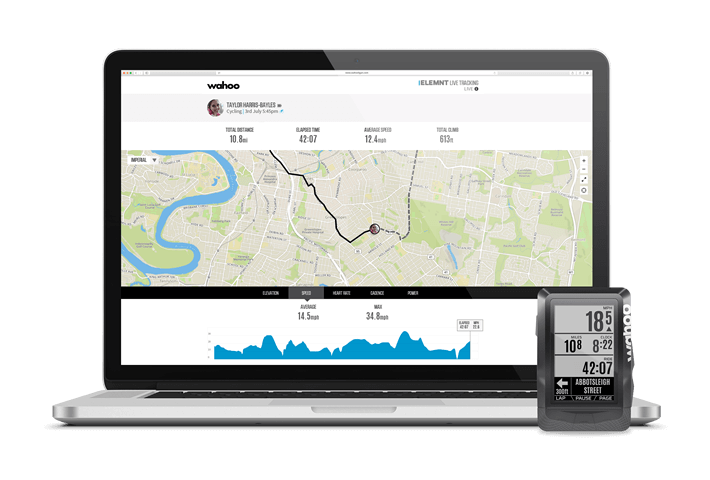 The free ELEMNT companion app uses the intuitive interface of your smartphone to customize your settings, configure workout pages and link ELEMNT MINI to your favorite cycling apps and Wahoo sensors. 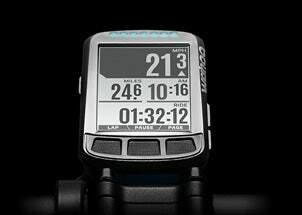 *Out-front mount not included with ELEMNT MINI, only stem mount. 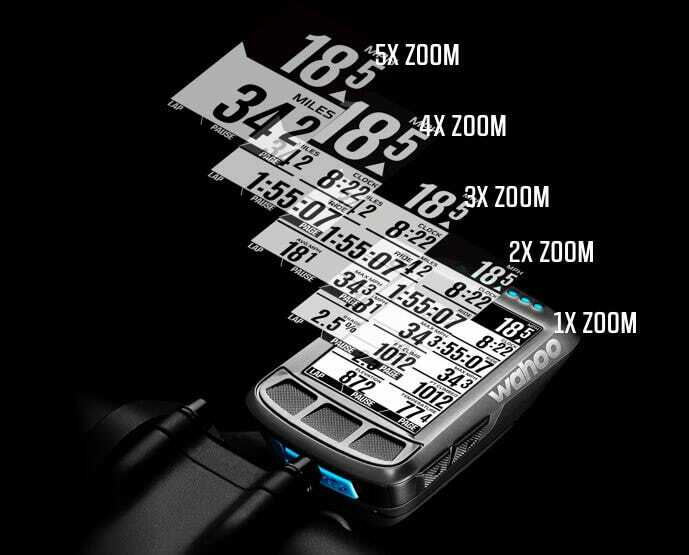 ELEMNT MINI comes with a Wahoo RPM Speed sensor so you are ready to ride and record speed/distance/time without needing to be connected to a phone right out of the box. Want even more data? 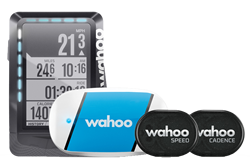 Pair with Wahoo Heart Rate and Cadence Sensors with no phone required! Ride with ELEMNT MINI paired to the ELEMNT Companion App on your smartphone to unlock full Ride Tracking using your smartphone's GPS. The ELEMNT Companion App will show your entire route map, elevation, and ride statistics after your ride. 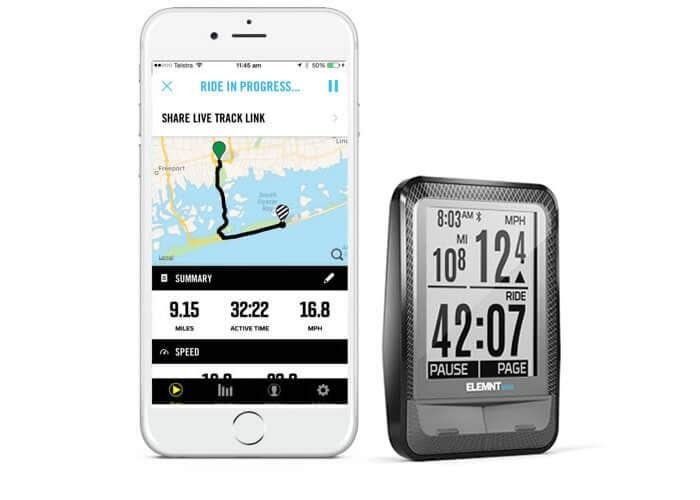 Live Track allows you to send a custom link to people who you want to share your location with during a ride when you ride with ELEMNT MINI paired to the ELEMNT companion app. 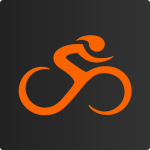 From the time you start a workout, to the time you stop, Live Track will update the web-based portal in real-time to keep others informed of your location, progress, and ride metrics. With Live Track, you can be safely located by loved ones, tracked by a coach, or even meeting fellow riders in-route. 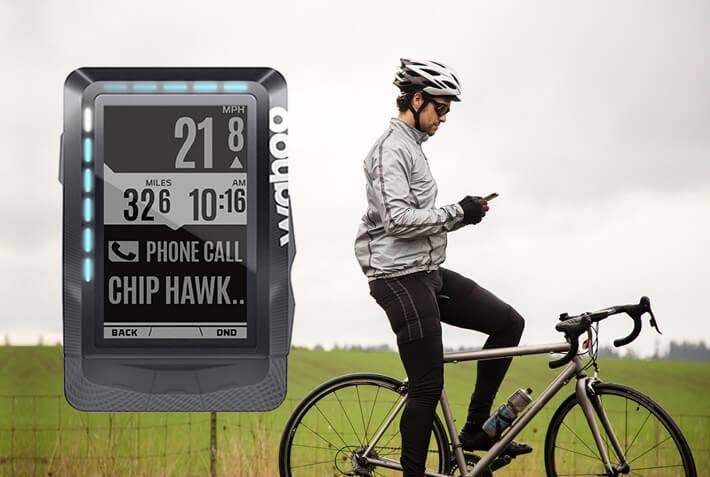 When paired with your smartphone, ELEMNT MINI will keep you connected by providing pop-up call and text alerts in real time. No need to wonder what message you've received ever again. 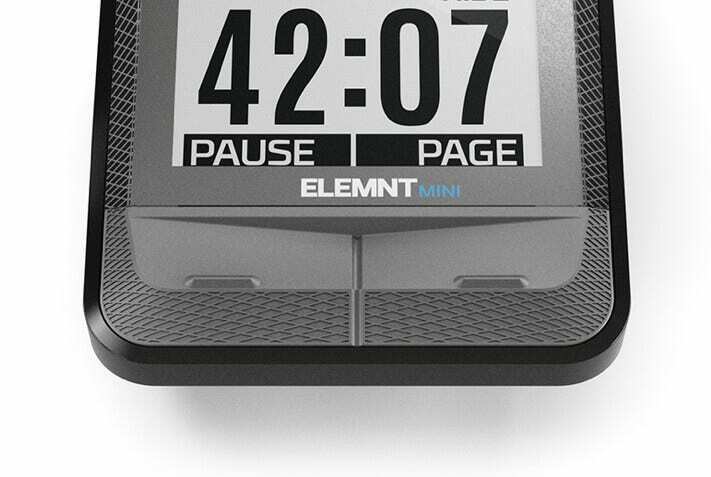 ELEMNT MINI features a high-contrast, grayscale display to make it easy to view your data at a glance. 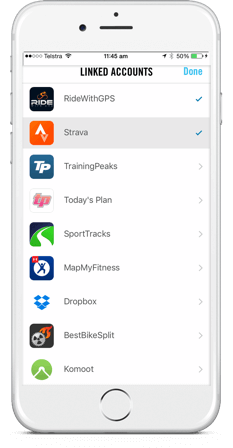 Authorize your favorite cycling app (Strava, Ride With GPS, Training Peaks and more) in the ELEMNT companion app and all of your rides will automatically upload. ELEMNT MINI is tiny but we've given plenty of real estate for two tactile and easy-to-press buttons that allow you to quickly toggle between screens. 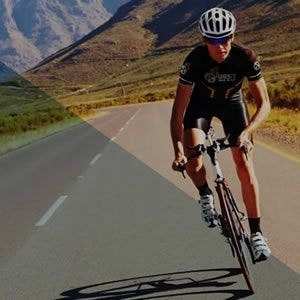 Discover why ELEMNT BOLT GPS Bike Computer is the choice of these champions. Our simply powerful bike computers are designed by cyclists, for cyclists - but we are all different. Use the chart below to compare features to decide which one is right for you. 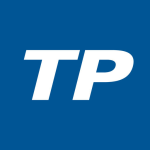 computers compatible to an array of devices and platforms. 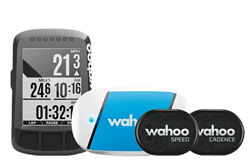 Whether you are training hard or out for a leisurely ride, Wahoo ELEMNT and ELEMNT BOLT GPS Bike Computers work with the most popular cycling apps to provide the best ride experience. 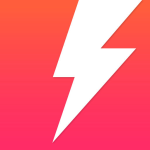 Plus, see below for our app partners with special offers to get you cranking. 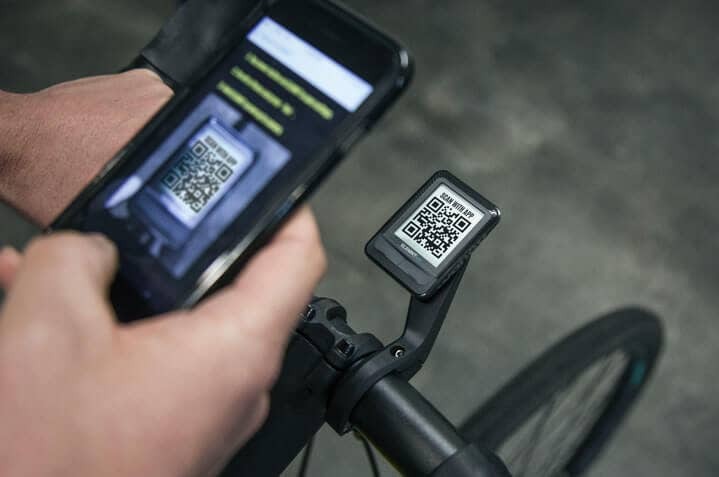 You'll receive these offers once you register your bike computer in the ELEMNT companion app. 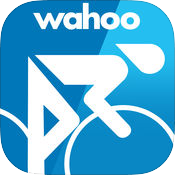 popular cycling devices and apps to offer you the most connected ride ever. 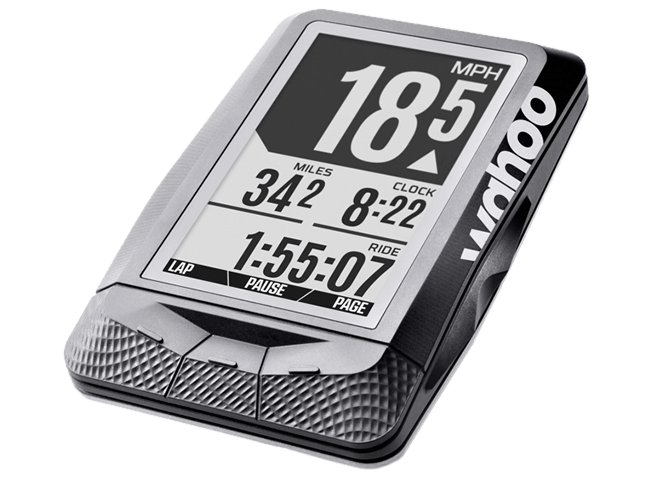 help you get the most from your Wahoo ELEMNT bike computer. All we needed was relatively good weather, a route to follow on my ELEMNT GPS Bike Computer and a willingness to be the crazy ones. 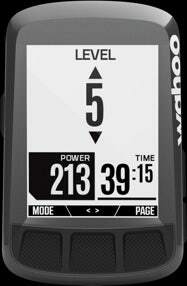 The Wahoo ELEMNT GPS Bike Computers' preloaded maps gave us a clear detour to continue the ride. 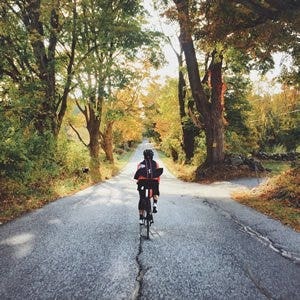 There is no frustration when configuring your ELEMNT GPS Bike Computer. Simply pick which screen you want to customize, then drag and drop the data fields in the order you want to see them.